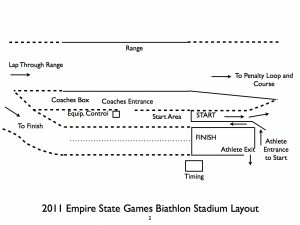 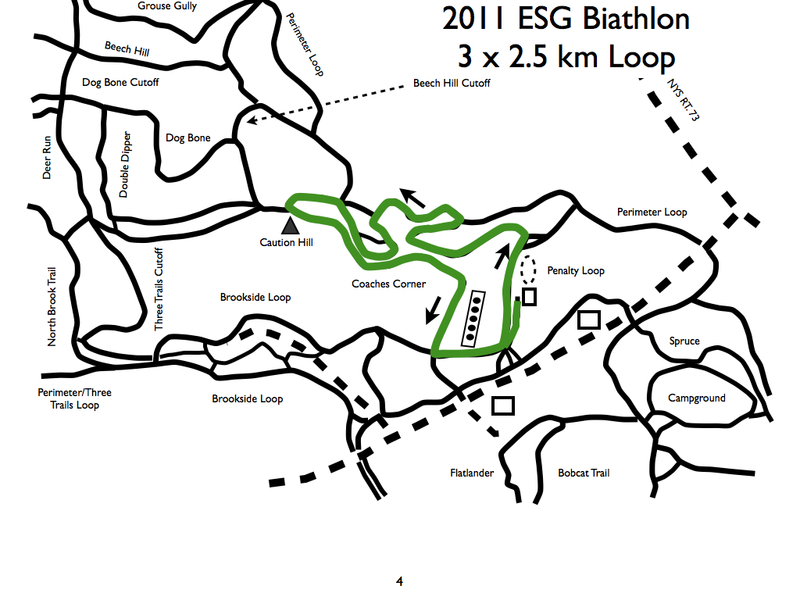 Course maps for the 2011 Empire State Winter Games. 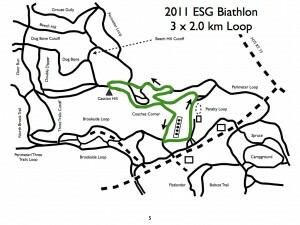 On Friday Junior, Senior, and Masters men will ski a 10 km sprint (3.3 km loop), while all other classes will race 7.5 km (2.5 km loop). 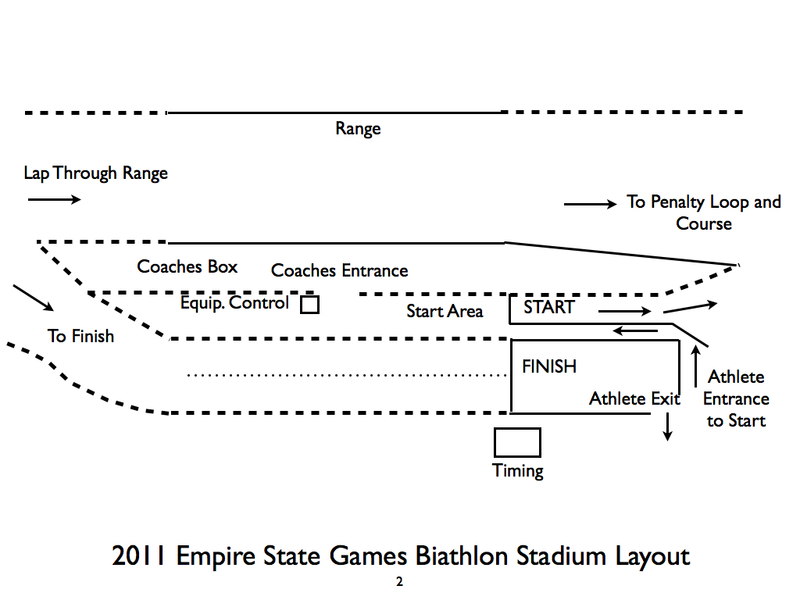 Saturday’s race will be a relay format race (you will compete on your own, not part of a team). 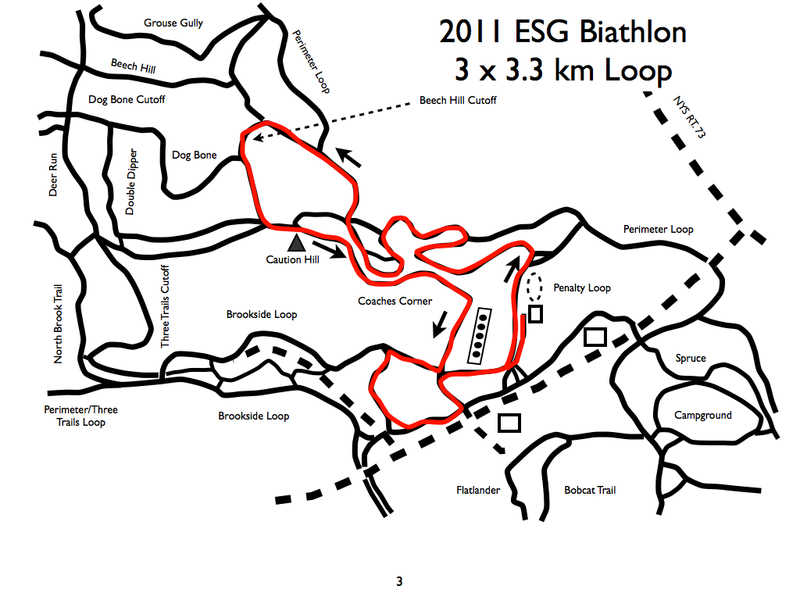 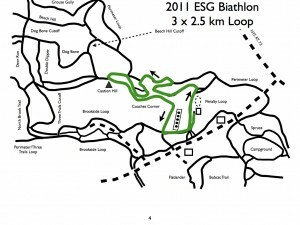 All competitors will race the same 6 km course (2.0 km loop). 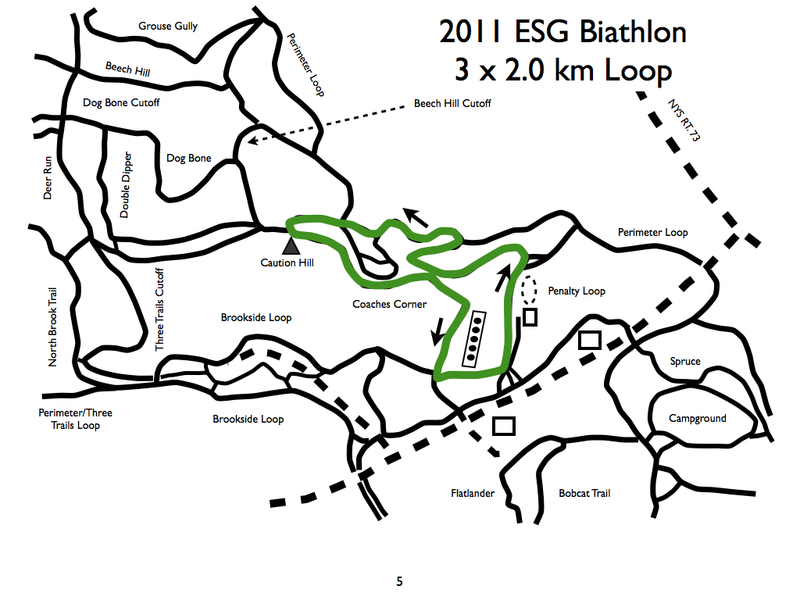 At each shooting stage competitors will have three extra rounds to hit their targets.